Palghar, April 17: An 81-year-old man was arrested on Monday from Maharashtra’s Palghar district for allegedly cultivating cannabis. The accused has been identified as Indradev Bajgovind. 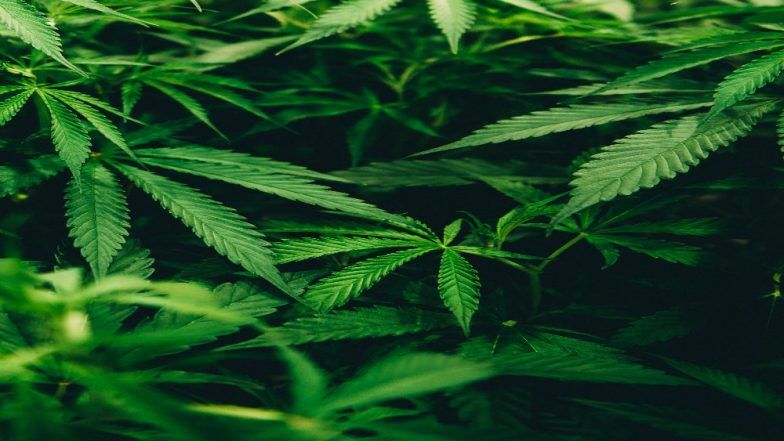 According to a report published in The Times of India, Bajgovind cultivated marijuana on a huge tract of land in Boisar taluka of Palghar district. Will Cannabis be legal in India after Patanjali CEO's Push? These Countries Have Already Legalised The 'pot'. The Boisar MIDC police raided the farm in Nevale village of Boisar after receiving specific inputs. In the raid, police found nearly 200 plants from the farm and seized 905 gm marijuana. “The owner of the land had commissioned the construction of an ashram there and had given it to Baijgovind,” reported TOI quoting police official as saying. The accused started growing marijuana when the construction was underway. Cannabis Used by 3% Indians: Uttar Pradesh Leads in Charas, Ganja and Bhang Use According to Government Survey. According to the report, Bajgovind was booked under sections 20(a),8(a)(b)(k) of the Narcotics Drugs and Psychotropic Act. He was also sent to police remand. The police will also question the owner of the farm in connection with the case. In Maharashtra, Section 66(1)(b) of the Bombay Prohibition (BP) Act, 1949, bans manufacture, possession and consumption of bhang and bhang-containing substances without a license.